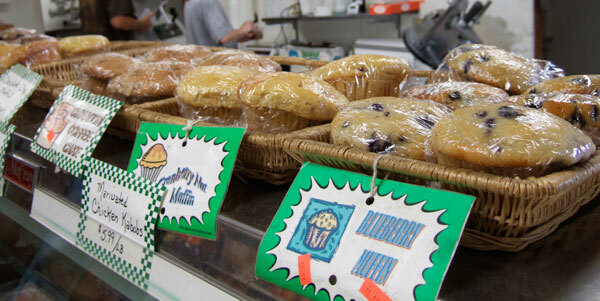 Stop by and pick up some freshly baked muffins at our deli! Flavors include Blueberry, Corn, Raisin Bran, Cinnamon Coffee Cake, Buttercrunch, Chocolate Chip, Double Chocolate, Cranberry, Pistachio and Peach. Not all flavors are available at all times!